South Korean insurer Samsung Fire & Marine Insurance has given away 100,000 anti-fire flower vases to its customers, as part of a campaign that received commendations from the advertising industry. The item, known as a ‘Firevase’, resembles a typical modern flower vase, but it also doubles as a fire extinguisher. Made of rigid PVC, the vase holds a fire extinguishing chemical within its double-walled structure. In case of a residential fire, the vase is meant to be thrown into the flames, where it will explode and release potassium carbonate which deprives the fire of oxygen and puts it out. The insurer prioritised residences in areas designated by the government as ‘fire-prone’, such as traditional villages where houses are made of more flammable materials. According to Samsung Fire & Marine, over 10,000 residential fires break out in South Korea each year. This led to the government requiring each household to have a fire extinguisher ready, but a 2017 survey revealed that around 58% of households have yet to comply. Those that did have a fire extinguisher often stored it in hard-to-reach places or even entirely forgot where they hid it. 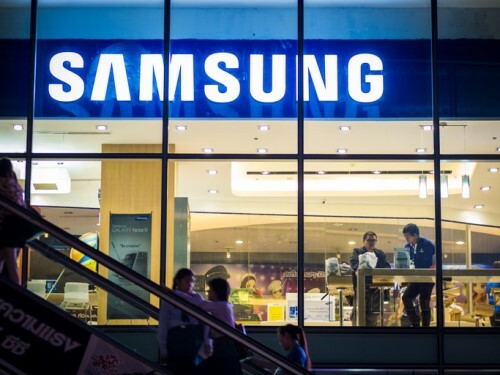 The campaign, which was created by advertising agency and fellow Samsung Group member Cheil Worldwide, included a demonstration video of the Firevase, which ran online and in movie theatres. Print ads also ran in 46 newspapers and magazines. It won the grand prize for the design category at the 2018 Korea Advertising Awards. According to Samsung Fire & Marine, it resulted in 4.1 million visits to its website and awareness of the importance of having a fire extinguisher at home reached 81%. The number of homes that had fire extinguishers also increased by 8%.